In Botticelli’s masterwork The Birth of Venus we can sense the initiatory impulse of Aries: a Goddess arising out of an oceanic expanse, naked and primal, radiant and yet revealing an inclination to slightly cover up her exposed beauty. Or perhaps that slight insecurity is coming from the woman rushing in to cloth her, a woman who seemingly is from consensus culture because she seems to be frantically attempting to uphold the consensus rule that a woman should not be revealing her full glorious form so openly in public. In popular astrology we are familiar with linking the sign of Aries with the sort of bravado that could lead one to skinny dipping in public, but the deeper astrological symbolism of the sign links it with the courage necessary to fully individuate ourselves, open ourselves to exposing our pure Soul and living our True Path in the world, despite influences of societal conditioning that would have us conform to consensus expectations of behavior rooted in the past and present. In this way Aries is linked to the initial impulse to emerge in the process of Individuation developed by Carl Jung, a transformative process in which we develop an identity of our true Self through integrating different elements of our psyche into a functioning whole and holistically healing ourselves as a result. This is the first of the 360 phases of a universal and multi-level cyclic process which aims at the actualization of a particular set of potentialities. 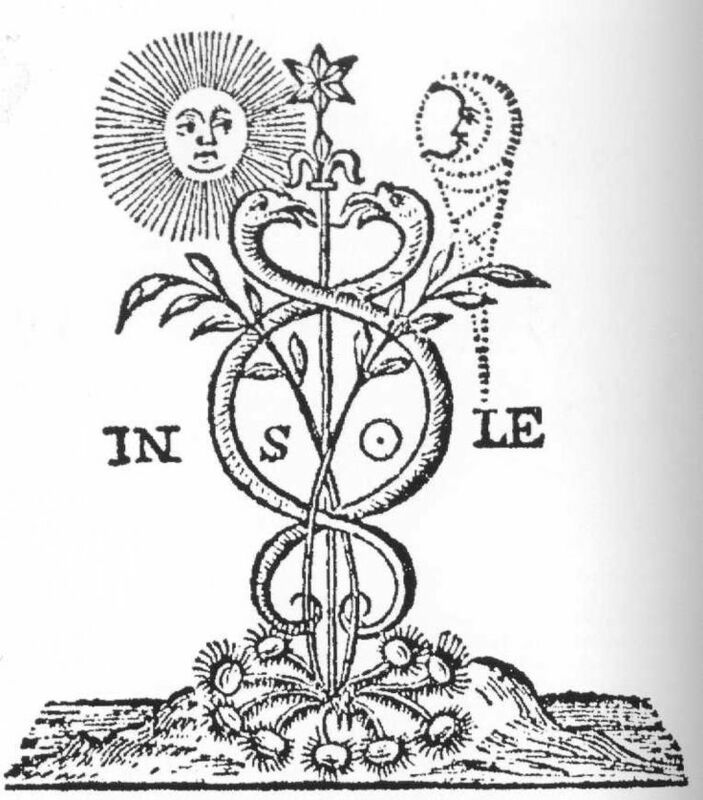 These potentialities, in the Sabian symbols, refer to the development of man’s individualized consciousness- the consciousness of being an individual person with a place and function (a “destiny”) in the planetary organism of the Earth, and in a particular type of human society and culture. To be individually conscious means to emerge out of the sea of generic and collective consciousness- which to the emerged mind appears to be unconsciousness. Such an emergence is the primary event. It is the result of some basic action: a leaving behind, an emerging from a womb or matrix, here symbolized by the sea (p. 49-50). In Evolutionary Astrology taught by Jeffrey Wolf Green, the cardinal archetypes like Aries have an energy of two steps forward, one step back. This new initiation of energy that is prone to reenacting past patterns at the same time, can be found in the first Sabian Symbol of Aries in the form of the seal who is embracing the woman who has emerged from the sea. According to Rudhyar, the seal symbolizes a “regressive step” since it is a creature of the ocean clinging to the woman attempting to emerge from the deep water. Rudhyar illustrated this symbol as a representation that “every emergent process at first is susceptible to failure,” and that when initiating new changes we become surrounded by memories and “the ghosts of past failures during previous cycles,” and in danger of falling prey to “regressive fear or insecurity” (p. 50). In the painting The Birth of Venus by Botticelli above, we can see this sense of insecurity even in the Goddess Venus herself, as she feels a need to slightly begin to cover herself. However, this is exactly why the strong “impulse to be” of Aries is so important, to propel us forward into birthing our true selves into the world through actualizing new choices more aligned with our true desires, a sense of self that is not limited by past negative thought patterns or restrictive habits of behavior, and that carries the courage necessary to break free from outside expectations. In Esoteric Astrology, Aries is directly linked to the idea of birthing new archetypal ideas into collective consciousness. Alice Bailey in Esoteric Astrology described Aries as the “searchlight of the Logos” and the “Light of Life Itself . . . where the Will of God is known” (p. 329-30). Alan Oken expanded on this idea in his Soul Centered Astrology by claiming that this “initiating focus” of Aries makes it “the birthplace of ideas, according to the Ancient Wisdom Teachings, as all of manifestation has its beginnings as Divine Ideas” (p. 162). Oken explained that Mercury is the esoteric ruler of Aries because “Aries is the fiery channel that provides for mercury’s expression, allowing for the birthing of a true Idea coming from the Mind of God . . . a spiritual impulse taking form” (p. 165). In this way, Oken described Mercury as linking “the Higher Mind with the lower so that the inner realization of one’s place in the Plan of Life may be recognized and then, through the use of applied logic, externalized” into the lower realms of our personality (p. 162-3). This esoteric view of Mercury is similar to the Hermes of ancient myth who was capable of crossing back and forth between the thresholds of the underworld and the upperworld. Uranus being the higher octave of Mercury, and Uranus being in Aries and being triggered by numerous intense transits recently, it would seem we are in a period of time in which new archetypal ideas could be entering our collective consciousness. On March 28, 2013 there were several incredibly potent conjunctions in Aries: the Sun and Venus at 8 degrees of Aries, Venus and Uranus at 9 degrees of Aries, and the Sun conjunct Uranus at 9 degrees of Aries. In addition, Venus, Uranus, and the Sun were also conjunct Mars within an approximate orb of four degrees. Since this stellium conjunction also happened to be in orb of a square to Pluto in Capricorn, and also happened to form a yod with Jupiter in Gemini pointing to Saturn in Scorpio, the week of Easter this year has been fertile with fateful astrological energy. If you lack extensive knowledge of astrology and do not really understand the significance of the astrological transits I just mentioned, just know that if ever Aries could be linked to the idea of birthing new forms of archetypes in our collective consciousness, this would clearly be the time. At the time of this writing we still remain with the vortex of incredible Aries energy, as Venus at the moment is headed for her cyclic two year or so conjunction with Mars, which will happen on April 6 at 20 degrees of Aries, here in the Pacific Northwest of the United States. The term “archetypes” at this point in the history of astrology is usually tossed around by writers without reflecting upon the origins of the word, which in published authorship can be traced to one Carl Jung. In Cosmos and Psyche, Richard Tarnas explained that it was in part through his research on synchroncities that “Jung came to regard archetypes as expressions not only of a collective unconscious shared by all human beings but also of a larger matrix of being and meaning that informs and encompasses both the physical world and the human psyche” (p. 82-3). Tarnas goes on to explain that he believes astrology primarily effects our lives as humans through an archetypal process, noting that while “the original Jungian archetypes were primarily considered to be the basic formal principles of the human psyche, the original Platonic archetypes were regarded as the essential principles of reality itself, rooted in the very nature of the cosmos . . . Integrating these two views (much as Jung began to do in his final years under the influence of synchronicities), contemporary astrology suggest that archetypes possess a reality that is both objective and subjective, one that informs both outer cosmos and inner human psyche, ‘as above, so below'” (p. 85-6). Recently, I have felt compelled to read some of Jung’s own original writing regarding archetypes and how he came to describe them. In his book Man and His Symbols, Carl Jung criticized the connotation of the term “archaic remnants” created by Freud to describe dream imagery evoking ancient myths because it suggested that they were psychic unconscious elements collected by the conscious mind like a trash can. 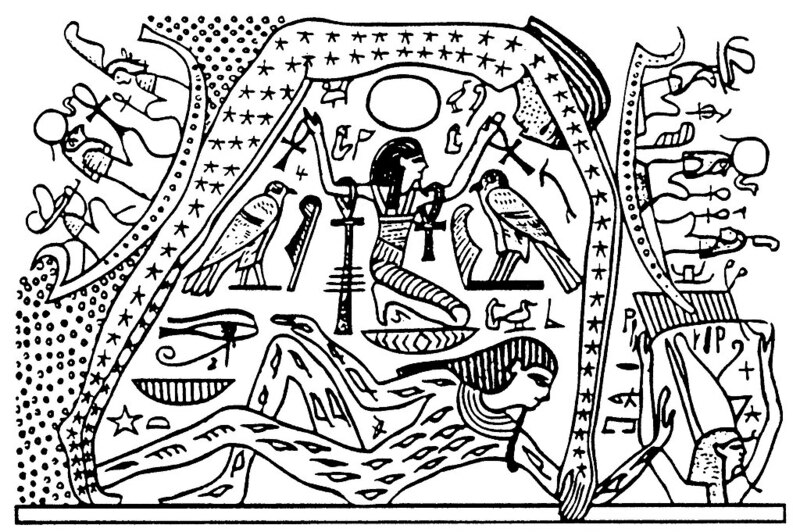 Instead, Jung argued that his term “archetypes” carried the meaning that instead of being lifeless “remnants,” that these archetypal associations and images “are an integral part of the unconscious, and can be observed everywhere,” and that they “form a bridge between the ways in which we consciously express our thoughts and a more primitive, more colorful and pictorial form . . . that appeals directly to feeling and emotion” (p. 47-49). Jung believed that archetypal images and associations connect our “rational world of consciousness” with our “world of instinct” (p. 49). My views about the “archaic remnants,” which I call “archetypes” or “primordial images,” have been constantly criticized by people who lack a sufficient knowledge of the psychology of dreams and of mythology. The term “archetype” is often misunderstood as meaning certain definite mythological images or motifs. But these are nothing more than conscious representations; it would be absurd to assume that such variable representations could be inherited. The archetype is a tendency to form such representations of a motif- representations that can vary a great deal in detail without losing their basic pattern. There are, for instance, many representations of the motif of the hostile brethren, but the motif itself remains the same. . . . Thus according to the man who coined the term “archetypes,” they are not in fact locked in to rigid definitions or classifications, but are indeed open to being birthed into new representations like the Esoteric Astrology interpretation of Aries, as long as they retain their basic pattern. In Cosmos and Psyche, Richard Tarnas highlights the “factor of human co-creative participation” in contemporary astrology, and how “planetary archetypes . . . not only endure as timeless universals but are also co-creatively enacted and recursively affected through human participation” (p.86). Tarnas emphasized that planetary archetypes “must be formulated not as literal concretely definable entities but rather as dynamic potentialities and essences of meaning that cannot be localized or restricted to a specific dimension,” and so archetypes should be “evoked” instead of “defined,” and are “better conveyed through a wide range of examples that collectively illustrate and suggest the enduring intangible essense that is variously inflected through the archetype’s diverse embodiments” (p. 89). Fittingly enough, I had the opportunity to hear Alan Oken speak for the first time on Easter Sunday of 2012 at the NORWAC astrology convention here in the Pacific Northwest. He spoke of the ancient battle between Kronus or Saturn, one who is frightened of the timeless and wants to create finite strucutres, and Ouranos or Uranus, one who wants to break finite structures up. 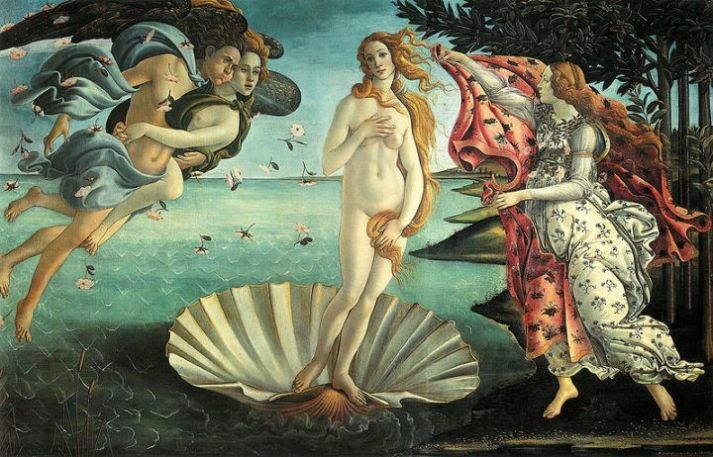 He referenced the mythology of The Birth of Venus painting by Botticelli, describing how when Saturn castrated his father Uranus, the Sky God who was the father of the archetypes, he threw his testes into the oceanic realm of Poseidon or Neptune, creating a fertile matrix in the process that gave birth to Aphrodite or Venus. Oken said as the father of the archetypes, Uranus breathes new creative fields and has no more powerful place than its current residence in Aries, as new ideas will pour into the collective consciousness. This influx of new images and insights, Oken elaborated, is due to the fact that Uranus individuates and is the place of the unexpected where you do not follow the norm. Like I previously mentioned, the link between Uranus, Aries, and Individuation is fascinating from an esoteric perspective since Mercury rules Aries in Esoteric Astrology, and Uranus is the higher octave of Mercury. With these dynamic descriptions of archetypes in mind, and in consideration of the intense Aries focalizing of energy at this time in the form of the Sun, Venus, Uranus and Mars, the time appears to be ripe to individuate a new sense of the archetypes for ourselves that can likewise be integrated into the greater collective consciousness. For example, in our modern astrological context, we tend to view Saturn as being the representation of consensus rules, regulations, and expectations of behavior. What this consensus reality looks like is constantly shifting in modern times, with each new generation ascending with all of its myriad fractals of individuation occurring inside. In Evolutionary Astrology and other teachings, Uranus carries an energy of collective trauma that can be seen in the myth by Uranus being castrated by Saturn, while also carrying an unstoppable energy of individuation as a result of overcoming the societal conditioning of Saturn, as seen in this castration giving birth to the radiant Goddess Venus. How each of us interprets this myth in our own time, the specific images that may come to mind as representations, will vary widely and will be shifting with time. However, the basic pattern remains nonetheless. 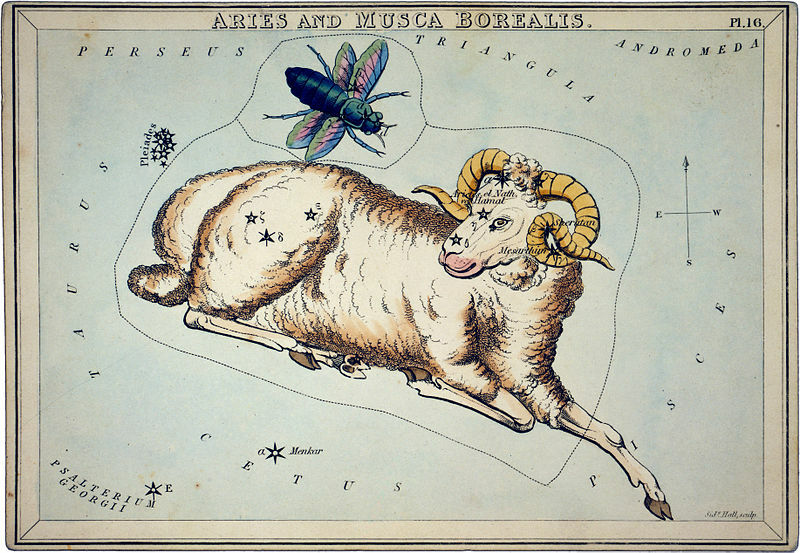 The archetype of Aries has been linked with individuation in many works of astrological literature. In Pluto: the Evolutionary Journey of the Soul, Jeffrey Wolf Green describes the evolved Aries archetype as having the “intrinsic courage and capacity to break new ground in whatever aspect of life that they apply themselves to, and can give courage to others to do the same thing” (p. 51). Green describes people with Pluto in Aries or the First House as sensing that they have a “special destiny on a very instinctual basis,” and that as a result they desire to have the “freedom and independence to initiate and fulfill any desire or experience they deem necessary, because experience is the vehicle through which they discover or become who and what they are” (p. 43). Thus, in Evolutionary Astrology, Aries embodies an instinctual “sense of personal self-discovery that is felt at every moment” (Green, p. 43). Whether we have planets in Aries or not, when we follow our instinctual inner drive to fulfill our desires, we begin to set off on our own personal path toward individuation, much like the Fool in the tarot. The seed of a mountain pine contains the whole future tree in a latent form; but each seed falls at a certain time onto a particular place in which there are a number of special factors, such as the quality of the soil and the stones, the slope of the land, and its exposure to sun and wind. The latent totatlity of the pine in the seed reacts to these circumstances by avoiding the stones and inclining toward the sun, with the result that the tree’s growth is shaped. Thus an individual pine slowly comes into existence, constituting the fulfillment of its totality, its emergence into the realm of reality. Without the living tree, the image of the pine is only a possibility or an abstract idea. Again, the realization of this uniqueness in the individual man is the goal of the process of individuation. From one point of view this process takes place in man (as well as in every other living being) by itself and in the unconscious; it is a process by which man lives out his innate human nature. Strictly speaking, however, the process of individuation is real only if the individual is aware of it and consciously makes a living connection with it. We do not know whether the pine tree is aware of its own growth, whether it enjoys and suffers the different vicissitudes that shape it. But man certainly is able to participate consciously in his development. He even feels that from time to time, by making free decisions, he can cooperate actively with it. This co-operation belongs to the process of individuation in the narrower sense of the word. Man, however, experiences something that is not contained in our metaphor of the pine tree. The individuation process is more than a coming to terms between the inborn germ of wholeness and the outer acts of fate. Its subjective experience conveys the feeling that some supra-personal force is actively interfering in a creative way. Once sometimes feels that the unconscious is leading the way in accordance with a secret design. It is a as if something is looking at me, something that I do not see but that sees me- perhaps that Great Man in the heart, who tells me his opinions about me by means of dreams. But this creatively active aspect of the psychic nucleus can come into play only when the ego gets rid of all purposive and wishful aims and tries to get to a deeper, more basic form of existence. The ego must be able to listen attentively and to give itself, without any further design or purpose, to that inner urge toward growth. Many existentialist philosophers try to describe this state, but they go only as far as stripping off the illusions of consciousness: they go right up to the door of the unconscious and then fail to open it (p. 162-163). ….in order to bring the individuation process into reality, one must surrender consciously to the power of the unconscious, instead of thinking in terms of what one should do, or of what is generally thought right, or of what usually happens. One must simply listen, in order to learn what the inner totality- the Self- wants one to do here and now in a particular situation. Our attitude must be like of the mountain pine mentioned above: It does not get annoyed when its growth is obstructed by a stone, nor does it make plans about how to overcome the obstacles. It merely tries to feel whether it should grow more toward the left or the right, toward the slope or away from it. Like the tree, we should give in to this almost imperceptible, yet powerfully dominating, impulse- an impulse that comes from the urge toward unique, creative self-realization. And this is a process in which one must repeatedly seek out and find something that is not yet known to anyone. The guiding hints or impulses come, not from the ego, but from the totality of the psyche: the Self. It is, moreover, useless to cast furtive glances at the way someone else is developing, because each of us has a unique task of self-realization. Although many human problems are similar, they are never identical. All pine trees are very much alike (otherwise we should not recognize them as pines), yet none is exactly the same as another. Because of these factors of sameness and difference, it is difficult to summarize the infinite variations of the process of individuation. The fact is that each person has to do something different, something that is uniquely his own (p. 162-164). This idea of surrendering to the perhaps unconscious potential of the Self fits well with the current astrological time period and the acceleration of Aries energy occurring, having come after a time period with excessive astrological energy in Pisces. The long Mercury retrograde in Pisces combined with Neptune, Chiron, Mars, Venus, the Moon, and the Sun all moving through Pisces may have coincided with us discovering at least a hint, if not a definitive calling, from our Soul purpose in the world, the latent potential of a glorious mountain pine tree that could grow from the seeds of our current thoughts and desires. In the Christian ethic, Christ was known as the “Lamb of God.” The crucifixion was symbolic of the ancient sacrificial rites in which a lamb or a ram was offered to the Deity. Jesus used his physical body to represent the ego of Man (the lamb) on the altar of sacrifice (the cross, representing the nature of the material world). Through His death and resurrection, Christ illustrated that man must transcend the desires of his personality so that he can gain admittance into the Kingdom of Heaven (conscious immortality in the Spirit). In this time of Easter, with a potent conjunction of Venus, the Sun, Uranus, and Mars all occurring in Aries (not to mention that this Aries stellium is square Capricorn Pluto and forms a yod with Jupiter in Gemini pointing toward Saturn in Scorpio), we can resurrect our true Self or Soul, our true Genius or Juno, however you want to describe it, but the soulful callings of our life purpose we can hear in the wind, which may have fallen dormant in years past, now is burning like the bush calling out to Moses, calling on us to liberate our true being from within and actualize our true Path in the World at this time. Green, Jeff. (1984). Pluto: the Evolutionary Journey of the Soul. Llewellyn. Jung, Carl and M-L von Franz, Joseph Henderson, Jolande Jacobi, & Aniela Jaffe. (1964). Man and His Symbols. Aldus. Oken, Alan (1980). Alan Oken’s Complete Astrology. Ibis. Oken, Alan. (1990). Soul-Centered Astrology: a key to your expanding self. I read through this very carefully (not being an astrologer) and am astounded by the wisdom conveyed through this astrological medium. I admire you so much for the time you take to write this and for simply wanting to share this wisdom. I was in tears at the truth of the Aries influence in this time period. I am going through stuff which is beautifully explained here. I asked for understanding of my current spiritual ‘landscape’ from the ‘universe’ and received it here. Your work is profound and meaningful. Always keep that in mind. You are living your purpose and if ever in doubt, let me tell you that you are in the right place. Thank you for being here. Thank you so much, Yaz. Your words mean a lot to me, and I am happy you found meaning in my writing despite feeling like you are not an astrologer. I was hoping to write something that would be more open to non-astrological understanding while conveying astrological meaning at the same time. I must admit that the first paragraph of this article left me speechless at so much beauty and raise emanating from your words. The title is very fitting as well. Thanks to you, the archetypes were born in front of or eyes. Rose was the flower of Venus. 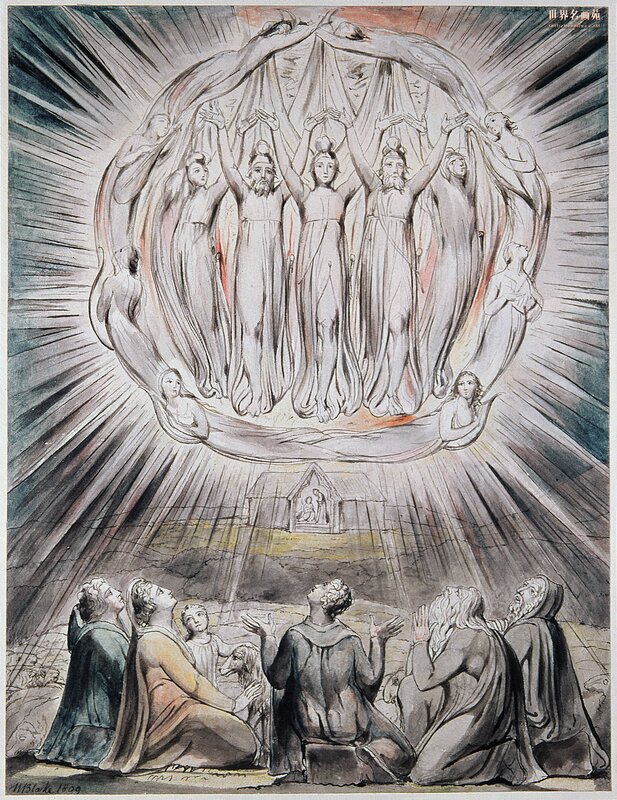 I thought of another metaphor for the 12/1 house emergence in connection with Botticelli’s vision. If you force a rose to open prematurely, it will wither. Similarly, you wait for an egg to hatch rather than break it open. This is a wonderful post, thanks for writing it. The connection between Lamb of God and the more essential purpose and meaning of Aries is a profound one. I believe every sign, as archetype, is seeking its higher purpose as Spirit, and I think you’ve nailed it for Aries here. Made conscious, Aries moves from simply instinct to the engine of individuation and enlightenment. Being an Aries native myself (Sun, Chiron, Mercury) this resonates deep within. Oken’s statement of Mercury as esoteric ruler of Aries is interesting, as it shifts focus from Aries as pure assertive instinct to Aries as having deliberate purpose behind that instinct. According to Jeff Green, what we experience at an ego level as instinct derives from the emanations of desires from the soul (Pluto). Whether or not those instincts are in harmony or creating discord has to do with the placement of Mars and/or planets in Aries/1st house. To suggest that, at a more esoteric level, the Aries archetype begins as a “Divine Idea” gives a sense of greater divine order and purpose to what can seem like uncontrollable, boiling Aries energy. Even though not everyone has planets in Aries/1st house, everyone has a Rising Sign. There can be applied the higher wisdom of Aries, the application of one’s energy to individuation for social good. By the way, I recommend looking at the Uranus and Pluto transits of April 14, 2014. Note the near exact square with Pluto is at retrograde station. Exact square comes on April 21. Now correspond the degrees (13º Aries, 13º Capricorn) to Rudhyar’s Sabian interpretations. Interesting symbols in this time of history.